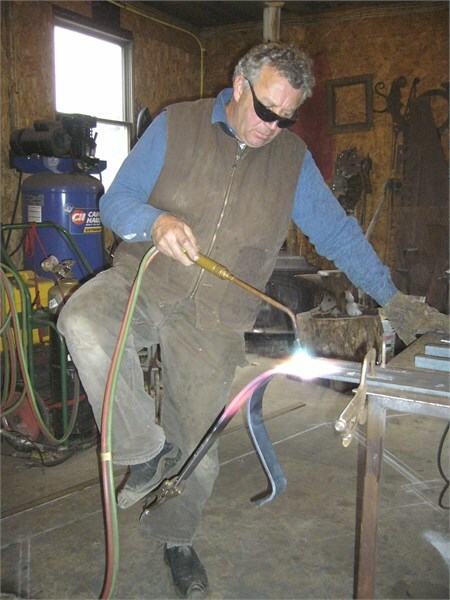 A graduate of Washington University MFA program, with a BFA from Portland School of Art (now the Maine College of Art, MECA) in Portland, Pat Plourde has specialized in sculpture, studio furniture in steel and wood, railings, lighting, and custom residential and commercial fixtures for over 25 years. His work has appeared in Architectural Digest, Log Home Designs, Maine Home and Design, and includes nearly all interior furniture and fixtures in some of the finest restaurants in Portland and the surrounding area. 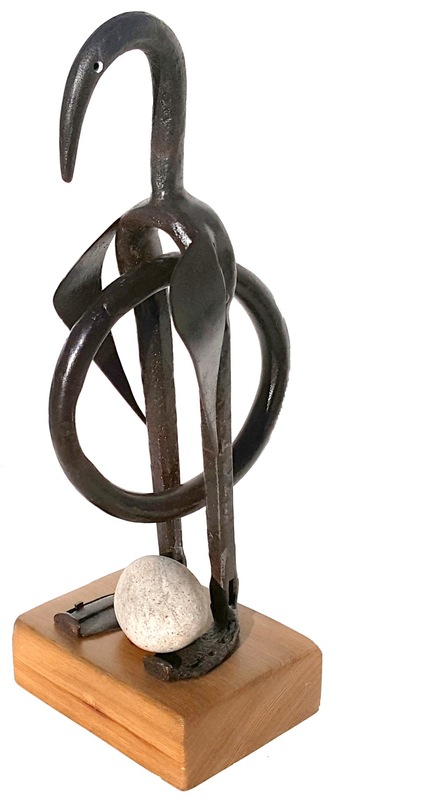 Pat has also designed furniture and fixtures for nationally known retailers including L.L.Bean, Timberland, and Whole Foods Market, and has been commissioned to create sculptures for both public and private spaces. Collectors include Ralph Lauren, Dave Grohl (Foo Fighters), Toucan Corp., FL, Portland Museum of Art, ME, Payson Art Gallery, Portland, and many individuals throughout the country. 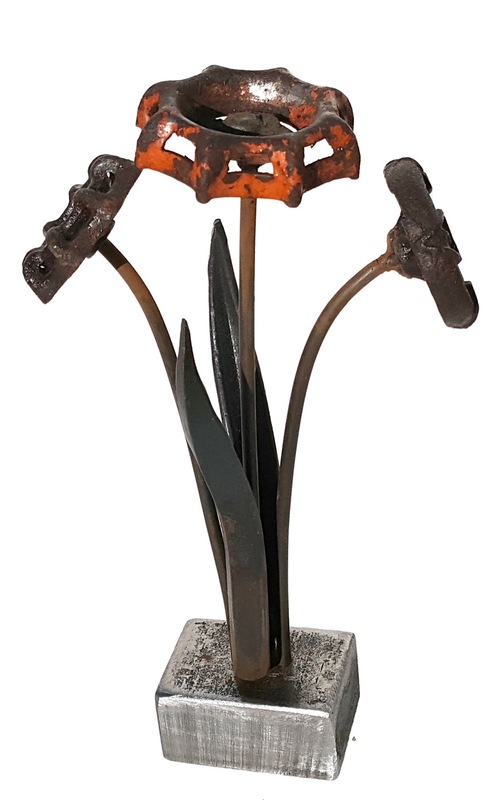 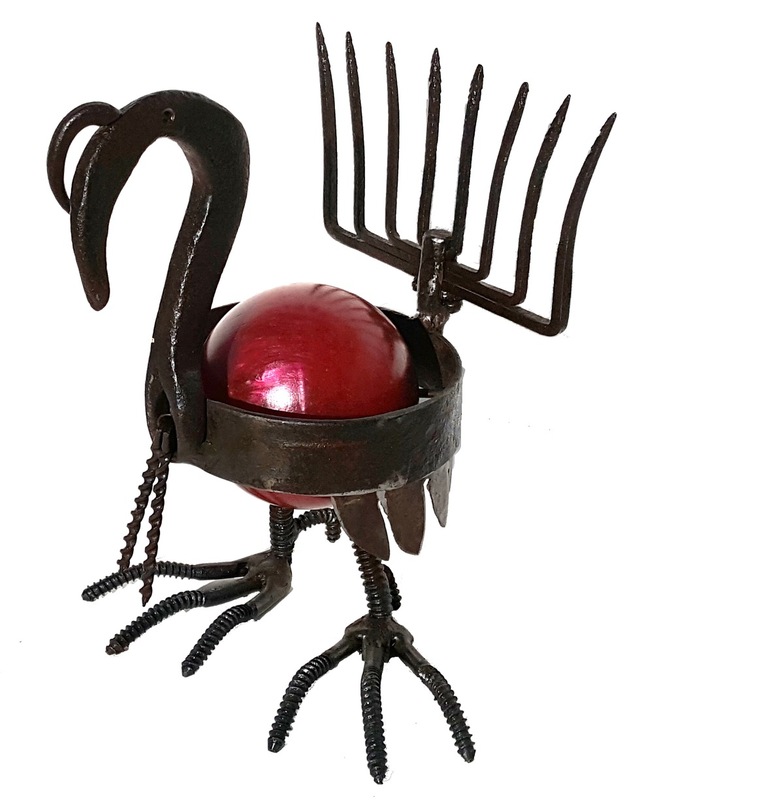 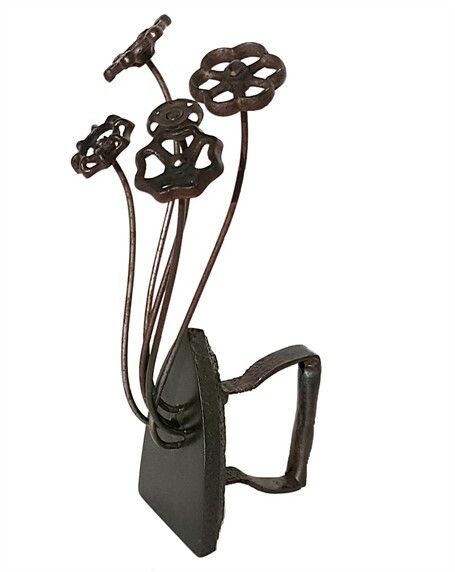 Pat’s latest works involve seeds, flowers, and natural forms expressed with the use of vintage steel and recycled vintage elements.